“I will feel like I have abandoned them if I can’t get them here,” says Leonard Amuok of his nephew Peter’s orphaned children. “So many relatives are struggling, and I would love to bring other relatives’ children, too, Leonard continues, but finances limit what his family can do to help. 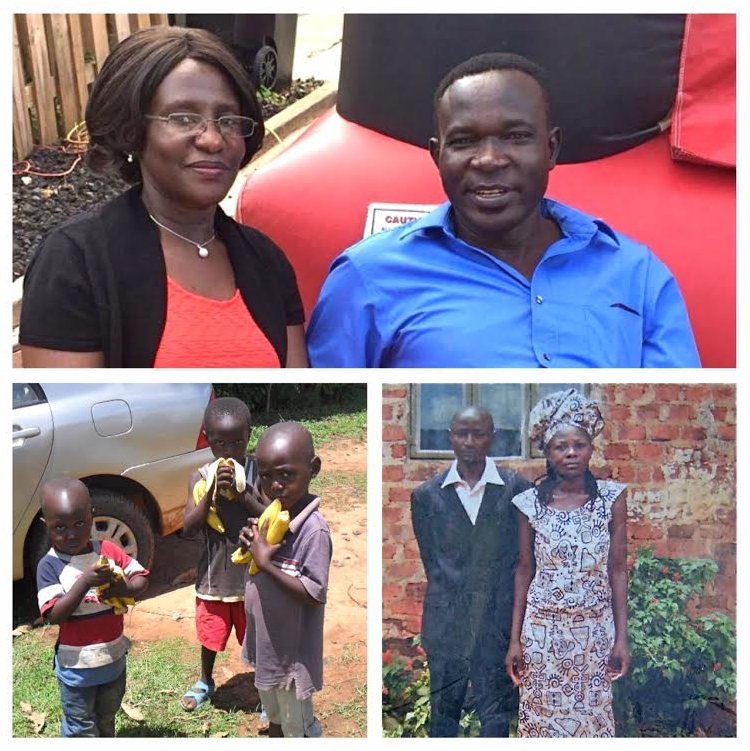 Leonard, presently on KRMC’s church board, and his wife Eunice Oduor and their four children came from Kenya to the United States in 2004 upon winning the green card lottery. They settled at Kern Road via some Mennonite connections from back home, where family members still live in rural communities, at some distance from the nearest big city, Kisumu, Kenya’s third largest city and principle city of western Kenya. According to Wikipedia, The Immigration Act of 1990 established the Diversity Visa program, also known as the green card lottery, making 55,000 immigrant visas available in an annual lottery, starting in 1995. The lottery aims to diversify the immigrant population in the United States by selecting applicants largely from countries with low rates of immigration to the United States in the previous five years. Leonard’s brother’s 30-year-old son Peter died in 2012 while working at a construction site in Uganda. Peter didn’t have proper safety equipment, according to Leonard, and was killed instantly in a fall. Peter and his wife, Francisca Dorine, then six months pregnant with their second child, also had a two-year-old son, Castro, at the time. When he traveled to Kenya for nephew Peter’s funeral back in 2012, Leonard noticed that Francisca Dorine had a swelling on her neck, which he suggested she should have checked by a physician. Eventually she began taking medication for a goiter, and Leonard mentioned the possibility of surgery if necessary. She gave birth to the couple’s second son, Peter, and seemed to be managing as well as could be expected by selling vegetables to make a small living, with occasional contributions from Leonard and Eunice, who also had funded the elder Peter’s high school education. Francisca Dorine died quite unexpectedly at home in October of 2015, leaving behind their two sons. Upon hearing of her sudden passing, “I immediately thought: what will happen to the kids?” Leonard recalls. Because family members are already providing for adult children and in some cases grandchildren as well, Leonard and Eunice did not believe chances were good that relatives in Kenya could find a way to take in the orphaned children permanently. “So many people are idle with no options for work,” he noted, adding that those who might go off to try to make a day’s wages could potentially come back with $10 or $20. Leonard and Eunice began to consider bringing the children to the United States, when they realized that “if the children go to relatives still in Kenya, there would be no guarantee that our donations to help would actually assist with the children’s support” due to so many other financial needs. Following Francisca Dorine’s death, Leonard spent six weeks in Kenya. In order to begin the process of bringing the children out of their home country, he needed to file for death certificates for the children’s parents and birth certificates for the children, none of which had been processed at that point in time. Because his nephew died in Uganda on the job rather than in his home country, acquiring that death certificate was particularly difficult. Leonard found application offices constantly filled with people. “I don’t believe in bribery, but you can’t avoid it. There is no other way but to grease palms.” And after all the requisite forms had been signed, there were the tedious waits for ancient typewriters to crank out official documents, Leonard reports. Having acquired those four documents, Leonard and Eunice will ask for legal custody of the orphaned boys, now nearly six years old and four years old. They expect to retain a lawyer in order to prepare for the Children’s Services’ presentation to the Kenyan High Court to verify and certify that they reside abroad, that they are related to the children, and that the children are, indeed, orphans. On the United States side, says Leonard, it will cost $1,900 to file Department of Homeland Security forms to begin background checks for himself and Eunice in addition to their three young adult children Celia, Wendy, and Brian; son Castro passed away in April of 2014. Home studies will follow in preparation for receiving the boys. “I would love to see them here in six months,” says Leonard, but he knows that timeline is not probable. Hopeful that perhaps they will arrive within a year, he says he is concerned that the children are currently with different family members separated by 20 miles. As plans and financial needs become more clear, we at KRMC will be watching for ways to help this family live out their resurrection dream to bring glimpses of healing and hope into these young boys’ lives. “Through the grace of God, perhaps all these obstacles I’m seeing may disappear,” says Leonard optimistically! The family welcomes prayers and logistical support as the process continues.